DevMasters is a top-rated program in 2019. We are so proud of the great team. 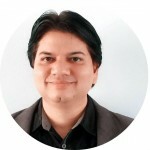 We will like to thank Zia, Paulina, Candice, Kathleen, Sidy, Jay, Xavier and Kate. Thanks for all the hard work. 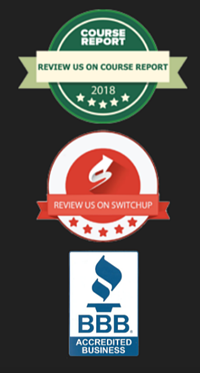 SwitchUp has also called us one of the top-rated programs in the world. It is a very proud moment for our team here in Irvine and El Segundo California. 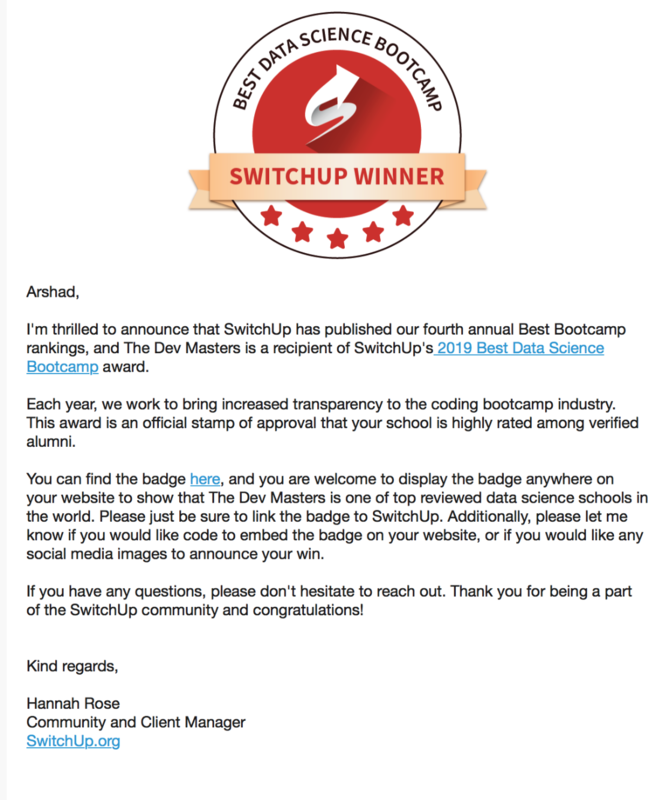 Check SwitchUp's 2019 Best Data Science Bootcamp list here.